Previously, we have introduced Four main molding methods for ITO targets, mainly about their definitions and characteristics. And today I think it necessary to talk about the advantages and disadvantages of each method, which is helpful for you to make choices between them when you want to prepare ITO targets. (1) During the process of hot pressing, since the powder is in a thermoplastic state, the deformation resistance is small, and plastic flow and densification are easy, so the required molding pressure is small. (2) Simultaneous heating and pressurization help the contact, diffusion and flow between the powder particles, reduce the sintering temperature and shorten the sintering time, and suppress the growth of crystal grains. (3) The hot pressing method can easily obtain a sintered body which is close to the theoretical density and whose porosity is close to zero, and it is easy to obtain a fine grain structure. The main disadvantages of this method are: (1) The obtained target size is small due to the limitation of the hot pressing equipment and the size of the mold. The current maximum size of the target is 400 × 300mm. 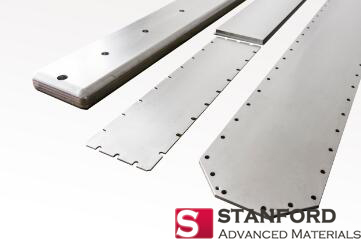 (2) This method has high requirements on mold materials (generally high-purity high-strength graphite). Moreover, the hot pressing equipment needs to be imported, and is not suitable for industrial continuous production. The production efficiency is low and the cost is high. (3) The uniformity of the target grain is poor. Hot isostatic pressing is the most common method for preparing ITO sputtering targets. It has the following advantages: (1) It can overcome the disadvantages of hot pressing in a graphite mold. 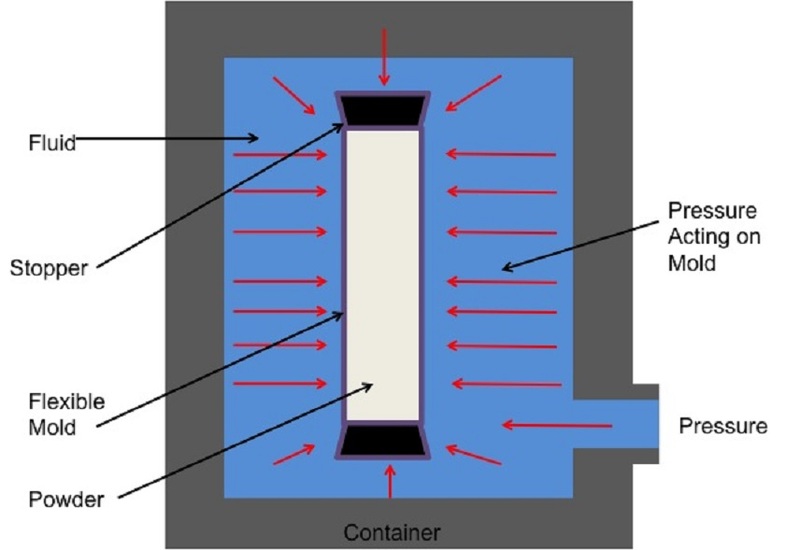 (2) In the heated and pressurized state, the product is simultaneously pressed in all directions, so that the obtained product has a very high density (almost a theoretical density). (3) The hot isostatic pressing strengthens the pressing and sintering process and lowers the sintering temperature, thereby avoiding grain growth, so that the product can obtain excellent physical and mechanical properties. The disadvantages are: (1) The size of the target is limited by the pressure of the equipment and the size of the cylinder, and it is difficult to prepare a large-sized target. (2) The equipment is expensive and the investment cost is high. (3) Low production efficiency and high production cost make the product imcompetitive. The main advantages of the room temperature sintering method are: (1) The size of the target is not limited by the equipment, so it is possible to produce a large-sized target. (2) Low equipment investment, low production cost, high production efficiency, excellent target performance, and easy industrial production. (3) This method is suitable for the performance requirements of coated targets for high-end displays. It weaknesses are: (1) This method is the most difficult sintering method compared with other methods. To obtain a dense sintered body, it is often necessary to add a sintering aid. 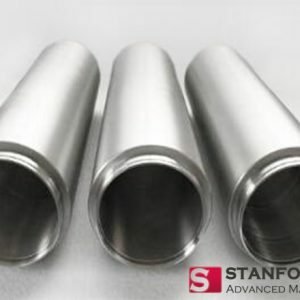 However, the sintering aid is difficult to remove from the sintered body, thus lowering the purity of the product. (2) The shape, particle size and particle size distribution of the powder are strictly required. In order to meet the requirements, the powder is generally subjected to ball milling, jet milling and sedimentation classification. (3) The target produced is generally thin. 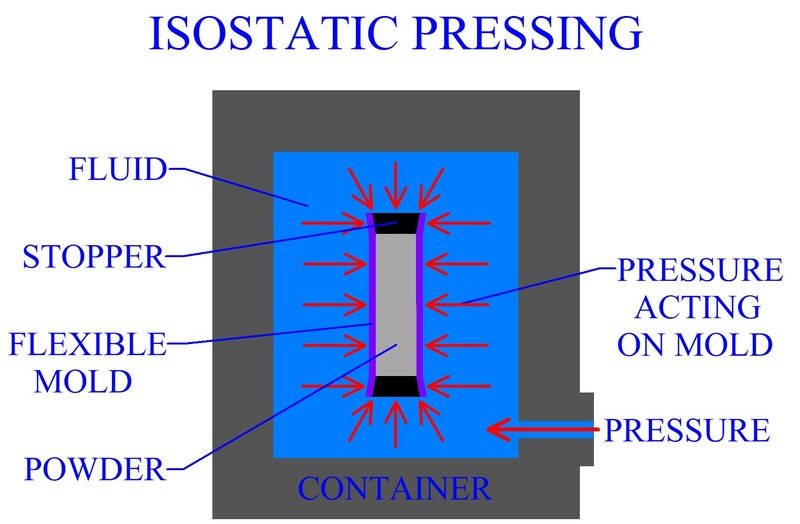 The advantages of cold isostatic pressing for the preparation of ITO targets are: (1) Compared with mechanical pressing, since the pressure of cold isostatic pressing is large and the workpiece is uniformly stressed, it is particularly suitable for pressing large-sized powder products. (2) The pressed powder product has the advantages of high density and uniformity. (3) The pressed powder does not require the addition of a lubricant or the like. (4) Its production cost is low and it is suitable for mass production. However, the use of hyperbaric oxygen makes the process dangerous. SAM Sputter Target is a global sputtering target manufacturing company. We provide metals, alloys, oxides and ceramic materials of high quality and at a competitive price. Please visit https://www.sputtertargets.net/ for more information.